Home > Archive by Category "Laws"
The trucking industry is valued at $726 billion as of Feb 2019. It moves up to 71 percent of the goods in the country. Not surprisingly, such a large industry has lots of trucking regulations to ensure all parties work by the rules. As you work to grow your company in 2019, you also need to know that the Federal Motor Carrier Safety Administration (FMCSA) is working to regulate your activities. Basically, the FMCA is mandated to develop regulations that police the trucking industry. In 2019, there are new regulations that you should know, and this post is going to cover them. Keep reading to learn more! The decision of the House regarding these changes is expected in the coming months. On December 17, 2017, the electronic logging device (ELD) mandate went into effect. After the mandate, some commercial vehicles were still using the grandfathered Automatic On-Board Recording Devices (AOBRDs) to record their drivers’ HOS. However, the rule was flexible, and it set December 17, 2019, as the deadline for those fleets to switch to ELDs. There is still time to make the switch, but some companies are getting worried after some early adopters of ELDs reported that their productivity decreased. Still, you need to prepare your team for the switch before the deadline. The US Department of Transportation (DOT) requires truck drivers to undergo drug testing, which is vital for safety-sensitive jobs. Urine testing has been the standard option for drug testing, but now DOT is advocating for hair testing. The Department of Health and Human Services (HHS) is responsible for creating the guidelines for all drug tests, including hair testing. The implementation of the federal hair testing guidelines was due by December 2016, but the HHS has been sluggish, even after a congressional directive. This means the DOT can’t implement hair testing until it has the guidelines. However, the Substance Abuse and Mental Health Services Administration (SAMHSA) is the final rule-making stage on the use of oral fluid specimens in drug testing programs. The implementation of hair testing could affect the careers of many drivers. This is because, unlike urine tests, the hair can reveal drugs that an individual has used in the past 2 to 3 months. DOT drug testing has already halted the dreams of many individuals interested in trucking career. Now, two drug testing guidelines could even exacerbate things for trucking career aspirants. By January 2020, all trucking companies and parties must be in full compliance with the new Drug and Alcohol Clearinghouse. The clearinghouse guideline is already passed, but it’s on hold because the HHS has not provided the hair testing guidelines yet. The US Department of Transportation will only apply the new rule after the HHS provides the guidelines. The rule will require all employers to assess the clearinghouse records for alcohol and drug violations before screening employees after they have completed training in TDI truck driving schools. Different states have different minimum wages for employees in the trucking industry. 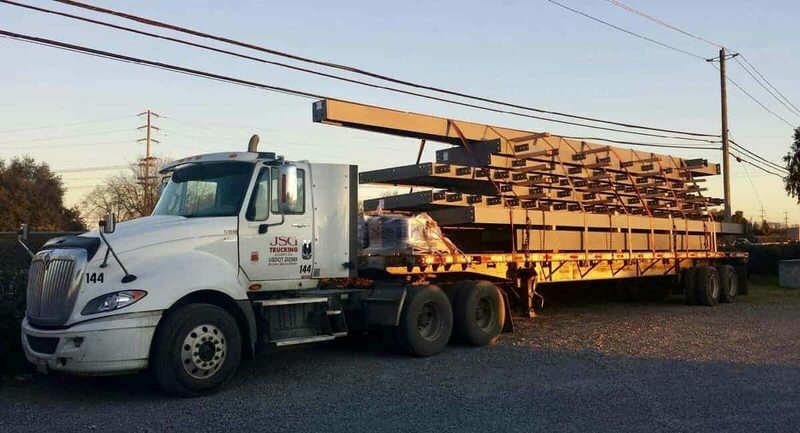 As such, the Truckload Carriers Association (TCA) has asked members to be aware of such differences when running operations in several states. Many states are raising the minimum wage in 2019, and it’s vital for employers to monitor and understand the new state law requirements for minimum wage. Some of the states that have raised their wage include Arkansas ($9.25), Arizona ($11) and Alaska ($9.89). In California, the wage depends on the number of employees you have. For example, if you have more than 25 employees, the wage is $12.00. It’s $11 if you have fewer than 25. Understanding the minimum wage law is necessary to prevent possible wage lawsuits filed by employees. As you know, such lawsuits can be quite costly. In 2016, the FMCSA and NHTSA established guidelines for speed limiters for trucks. These rules required all trucks to have speed limiting devices. However, the rules didn’t provide the top speeds for truck drivers. Some of the suggestions included 60, 65, and 68 mph. However, the majority of the industry parties have been against the idea of using these devices. As such, the rule received major disapproval in July 2017, but this doesn’t imply it’s dead. According to the FMCSA, sleep apnea is a common problem that affects up to 28 percent of commercial drivers. People with sleep apnea usually experience pauses in breathing with can last up to 10 seconds or more. The pauses can occur up to 400 times per night. As such, drivers with this condition are five times more likely to be involved in road accidents. According to the National Safety Council, the cumulative cost of collision related to sleep apnea amounts to about $15.9 billion every year. Recently, the National Transportation Safety Board recommended rigorous sleep apnea testing. However, this suggestion received significant pushback. In 2017, FMCSA and the Federal Railroad Administration (FRA) opted not to proceed with the recommended testing and treatment of sleep apnea in truck drivers. However, this doesn’t mean the regulation is dead. It’s something you should closely monitor this year. If you’re running a trucking business, keeping abreast of the latest regulations in the industry is essential to stay compliant. Failure to meet the compliance rules can lead to hefty fines that can really ruin your operations and growth. Keep in mind that there are national laws and state laws. So, if you have operations in different states, it’s your responsibility to learn as much possible about those laws. In 2019, the US DOT plans to increase fines on trucking-related driving infractions. This means you’ll pay more for violations, such as failure to obey Subpoena, out of service orders, and record-keeping contraventions. If you’re struggling to understand the trucking regulations and laws, be sure to search for a lawyer for assistance and consultations. If you are planning on applying for British citizenship and you are currently an EU citizen, you will need to determine whether you have the right to a UK residence card, an EEA family permit or a UK spouse visa. Knowing what your options are will help you to determine what you should do next. Under the EU freedom of movement regulations, most EU/EFTA citizens can, at this time, live and work in the UK and are allowed to have their relatives or partners live with them too. This could change in the coming months because of the result of the 2016 Brexit vote and the triggering of Article 50. The UK immigration policy means that people who are EU/EFTA citizens moving to the UK do not need a permit. There are some exceptions to this, such as restrictions for Croatian Nationals, but for the most part EU citizens qualify for permanent residence status if they remain in the UK for more than five years and they do not need to apply for a UK residence card to get this. 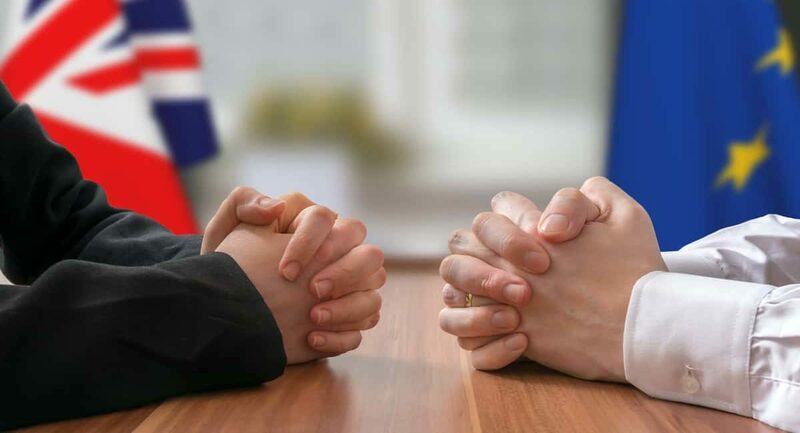 There are different conditions for non-EU/EFTA nationals that plan on coming to the UK, and the rules for individual countries can differ dramatically so it is best to check the rules for the country you are from. The UK immigration policy is a complex matter. The UK is an EU member state, at this moment, and this means that citizens of the other member states and citizens of countries that are a part of the European Free Trade Association can travel to the UK without needing a visa, and are permitted to live and work in the UK. The Freedom of Movement principle is an important part of the EU Treaty. As long as a person does not have any outstanding criminal convictions, they are not subject to any restrictions on their movement. The UK opted out of the Schengen Agreement, and this means that it has its own border controls. EU/EFTA citizens need to present a passport when they enter the country. There are no requirements for people from the EU to register their stay with the immigration authorities and there are no requirements for people to have a UK residence card. Non-EU/EFTA residents are, however, subject to different rules depending on which part of the world they are traveling from. The freedom of movement for people from EU/EFTA countries and the ability for those people to work in the UK and enjoy visa-free travel as well as the right to study or to settle in the UK is something that will change following Brexit and a reason many are hiring British citizenship lawyers. If you’re a Swiss Citizen, EU or EEA citizen, then you and your family can apply to live in the UK after June 2021. You do this via the EU Settlement Scheme. If your application is approved, then you’ll designated one of two status, with one being pre-settled and the other being settled. The European Economic Area includes countries within the EU. It also includes Norway, Iceland and Liechtenstein. Some people might not have to apply in order to remain in the UK. This includes those who have indefinite leave to remain or Irish citizens. The scheme is currently open. If you meet the criteria, feel free to apply. However, the deadline to apply is June 2021. The status you might get depends on the time you apply. Be aware that you will need to be living in the United Kingdom if the UK eventually leaves the EU. The deadline is 2020, so apply before then, otherwise you might not have the chance to do it again. These are just a few of the laws that you need to know as a consumer. These insights will not only help to raise your credit score in the best environment possible but will also sort out any discrepancies in the fairest way possible. Just to make sure that every consumer understands them well, let us dive into each one of them in detail. This is one of the oldest acts in the US. Its goal is to protect all the consumers against any credit dealings that are not legal or fair. Thus, it emphasizes honesty and fairness from the organizations and shareholders who deal with credit ratings. This includes the lenders, who should submit the report about credit accounts, and credit reference bureaus, who are supposed to assign the three-digit credit score number. As a consumer, you have a right to be protected from unfairness by the law. Today, many people are worried about how their information will be used by the agencies collecting them. We all know that credit history and related data are sensitive and confidential. Luckily, the FCRA protects consumers against this. Just like other acts, it obliges the major credit bureaus to offer a report to the consumers so that they can review whether it is accurate or not. According to the Boostcredit101 website, this is one of the most important legal rights that consumers have. Thus, they need to understand it to make a claim. This is a consumer credit law that seeks ensures fairness when seeking any credit like a mortgage. Since most people will need such services at one time or another, it is crucial to understand everything about it. According to the act, it is a legal right for the citizens to get a report about their credit once a year. This cuts across all of the credit bureaus in the US. Notably, the act also puts forward a better framework to deal with fraud that affects consumers like identity theft. And the best part is that this is the responsibility of the lenders according to the act. If you ever meet a lender who discriminates you because of issues that are not related to finances, then this is the legal act that will protect you. Lenders are only obliged to deny or reduce credit amount based on issues like credit history, financial income, and other finance-related matters. According to this act, it is illegal to go further than this. A truth in lending statement is usually offered when you apply for major credit like a mortgage. It is part of the contract and shows the minimum information that you are entitled to when borrowing a loan. Basically, these are like the terms and conditions of the loan, which states the amount you will get and how much you will pay per month. Legally, this binds both the lender and the person applying for a loan. They cannot change the figures unless both enter into another agreement that must be signed again. When you go out to seek the services of credit repair agencies, there are legal procedures that they must follow. The first one is that they can only give the correct information when negotiating with the lenders. Anything else is not supposed to be said. It also requires the agencies to enter into a written contract with you before they start the process. As a closing remark, it is important to check all legal procedures that protect you as a consumer when dealing with credit matters. It is the only way to guarantee a high score that is accurate. Further, you will always get the financial help that you deserve. Are you one of those law students who is not good at writing and end up ruining the whole law thesis? Are you looking for someone who can guide you with your thesis and can cross check your work for errors and formatting issues? Then you are at the right place because there are many best thesis editors in the market. Most of them believe in providing quality service on a timely basis, so you do not miss any deadline. With the help of professional law experts, you will not be able to write a thesis like a boss, but you will also impress your fellow students and teachers through your amazingly written thesis. Editors are going to edit all the mistakes and give a proper structure to your content and check for grammatical errors. Meanwhile, you can relax and plan how you are going to celebrate your good grades. If you want someone to proofread your thesis, to make sure there is no error, then who could be better than an editor could. Through the best thesis editor services, you can get your thesis checked, and you do not have to keep thinking if you have missed anything important in the thesis because editors have got you covered. All you need to do is contact them and take the expert’s advice, and it will be done before you know it. We all know it is better to take an independent opinion and view of your thesis, and editors can play the part of the independent party for you. If you are worried about the price of the thesis editor services, then do not be, because editors know that being a student, you do not have much saving and you cannot afford much. That is why the prices are super affordable, and the quality of the service that editors provide is much more than that. They guarantee you will not find anyone better than them at this price and with such quality that too online, which makes it easier for you to get your thesis checked anytime you want. After taking the services, you will notice that you will be acing at all the assignments for the thesis. Editors strictly follow two rules, and that is being credible and maintain confidentiality because there is nothing more important to editors than the customer’s thesis. In no circumstances, editors breach those rules because editors believe that trust is hard to earn and should not be broken at any cost. Therefore, you can safely share all your thesis to the experts without even mentioning your name and staying anonymous. The growing popularity for thesis editor services is proof that they are highly credible, experienced and good at what they do. I know how it feels when people judge you based on a piece of paper, but that piece of paper can also make you a class top student. All you need to do is contact us with your thesis, and editors will turn it into something extraordinary. Were you in an accident? Have you suffered multiple injuries? Are you missing work and losing money? It is understandable that all you want right now is to feel better and get back on your feet, but what you need right now is an excellent personal injury lawyer. It is not difficult to find one. Personal injury law in New York State can be more than a little complicated for the novice person. Getting the compensation you deserve from the liable party and filing the claim with your insurance provider can be challenging. It is a tedious process unless you have a local attorney firm in Buffalo, New York, helping you with the paperwork. Many attorneys believe in settling matters outside the court only. If you do that, you might lose out on considerable money. You might not even receive the sum your physical injuries, and emotional trauma deserves. Check with the firm if they have a history of taking cases to trial instead of settling for a pittance. You should only work with winners. In court, a confident attorney can determine which direction your case will proceed. It is imperative to know that your lawyers will get the best possible settlement or verdict for you. Get top rated Buffalo personal injury attorneys at the O’Brien and Ford Law Firm, with a proven history of winning personal injury lawsuits. Every registered attorney should be a member of the national and state bar associations. Furthermore, they should be parts of other prestigious groups. You might find advertisements of accident lawyers and personal injury attorneys on billboards near the highway, but there is no guarantee that the person behind the advert actually has the credentials he or she claims to have. Therefore, dig deep and visit online forums to confirm the qualifications, certifications, and memberships of the attorney you plan to hire. Law has several categories. A good lawyer does not have expertise in every field. When you have a potential personal injury lawsuit in hand, you should only look at attorneys with extensive experience in the field of personal injury. Since a person is least likely to see a gynecologist with a headache, it makes little sense to visit a divorce lawyer with a personal injury case. Some attorneys also have a list of clientele you can check online or speak to, to learn more about his or her claimed services. While these tips should help you find an excellent personal injury attorney, you should not neglect their online reviews. The client reviews can help you find out more than you can from personal interviews with each legal professional. Did you know that 43 percent of email users will report spam if they do not recognize who the email is from? Mailchimp is a software that manages many products for businesses and individuals. What is integration in email? Mailchimp’s integration tools allow you to combine many online tools onto one platform. Mailchimp offers many integration options with your favorite software and apps. This integration makes working across online platforms easy. It also makes following the legal aspects of email policy a breeze. The platform’s integrations include hubspot Mailchimp sync, Shopify, SurveyMonkey, and Copper. They offer over 150 more integration options. When dealing with email marketing, spam is a common issue. Follow the terms and conditions to avoid your email communications appearing as spam. Mailchimp is serious about its permissions settings. All users have to opt-in to receive email communications. Companies must also follow express legal language. For example, the opt-in feature can only ask one question at a time. Their policy breaks down into their different users: Members, Contacts, and Visitors. This section applies to the personal information from a member or potential member. Mailchimp uses this information to bill, send alerts, provide support, data analytics and more. This section applies to the information of contacts’s uploaded by members. Mailchimp uses this information to protect the rights and safety of members, meet legal requirements, provide lawful requests, data analytics and more. This section applies to personal information that is uploaded through the website. Your home is your sanctuary unless you live in an apartment with a bad landlord. There are some apartment annoyances we all have to deal with, like the occasional loud neighbors. But others aren’t so normal. You shouldn’t take a faulty eviction or refusal to repair your apartment in stride. Learn when to hire a tenant lawyer and how to do it below. Unless you know you’ve done something wrong, like not paid rent in months, you should fight your eviction. Evictions go on your record and they can stop you from getting safe living situations in the future. An eviction hurts your credit score as well – so you want to do your best to get it reversed. Since you signed a lease, the landlord seems to have more power in this situation. That’s why you need a lawyer. They can point out any loopholes, confusing language, or inconsistencies in the lease itself and your landlord’s argument. When you sign a lease for an apartment, there’s usually a clause about maintenance. It’s your duty to report any breaks or issues to the apartment complex, using whatever form they choose – learn more. But if you report and nothing ever happens, that can put you in danger. There are stories of people in apartment complexes living with toxic mold, no air or heat, and pretty much anything else you can think of. If your landlord won’t make repairs, it’s time to take them to court. Even if you don’t think it’s that big of a deal – you’re standing up for all the tenants who didn’t have the courage to in the past and you’re solving the problem for tenants in the future. If you’ve taken the necessary steps to alert your landlord to an issue and they don’t respond – that’s one thing. If that happens and it results in you getting hurt or sick – that’s another. And we mean another type of lawsuit – both are times you should take this person to court. Landlords have a legal duty to do basic maintenance. Like arranging to de-ice walkways or getting rid of a sickly tree. If they don’t do that, it’s a form of neglect and they need to be held responsible in court. Now that you know when you should hire a lawyer, you need to know how. Hiring a tenant lawyer is like hiring any other kind. You want to make sure they’re going to represent you well and honestly, and that they have experience arguing cases like yours. Use a lawyer directory and look at a few of the choices. Read their testimonials and see what their intake process is like. Many case-basis lawyers will have a free consultation, which you should take them up on. They’ll let you know if you have a case, to begin with. If you don’t stand up for yourself where you live, how are you going to stand up for yourself anywhere else? If you didn’t do anything wrong and they did, they should be held accountable. Don’t “just deal with it”. At least call a landlord tenant lawyer and get a consultation – you’ll be happy you did. Want to learn more about this subject? Click here. Are you or a loved one suffering from a disease, illness or injury that’s expected to last longer than a year or prevents you from working and earning a suitable income? If so, you might be eligible to apply for disability benefits. Did you know that one in every 19 Americans earns disability benefits? Being disabled can take a tough toll on your life, but it doesn’t mean there aren’t ways to support yourself. But, applying for disability can be stressful, time-consuming and downright confusing at times. So, where do you even start in the application process? These four tips on how to apply for disability will break down the application process so you can start earning money as soon as possible. Lengthy application processes can be daunting, but talking to your doctor about applying for disability benefits is the first step you should take during this process. They can provide you with the medical documentation that you’ll need to prove your disability is preventing you from working. Having the proper medical documentation and a written statement about the complexity of your disability will give you a leg up in the application process and reduce chances of your application being delayed. Make sure to get documentation from all doctors involved with your health and obtain proof of hospital visits and test results. 2. Where Can I Apply? The most convenient way to apply for disability benefits is to apply online. This is because you don’t have to make an appointment, you can apply from the comfort of your home and you can do it on your own time. All you have to do is fill out a secured benefits application on the official website for social security administration. You can also apply by calling the social security’s toll-free number at 1-800-772-1213. If you’re hard of hearing, you can call TTY 1-800-325-0778. And, of course, there’s the option to call and make an appointment at your local social security office. 3. How Long Does an Application Take to Process? If your application is filed perfectly with all of the proper documentation and medical records, you could be approved within just five months. However, there is the possibility that the government will need more documentation or your application can even get lost in the system. If you aren’t awarded disability within the first five months after submitting your application, don’t give up. You could be granted back pay on top of your monthly benefits, which is a sum of money that you can be awarded if your application wasn’t approved in a timely manner. 4. What Happens If I’m Denied Disability Benefits? Fortunately, it’s not the end of the road if you’re denied disability benefits. You can file an appeal where you will be asked to submit updated medical records, doctors visits, test, and treatments. If you feel as if your case needs legal attention, there’s always the option to hire a specialized SSI attorney to get you on the right track. You can learn more about if an SSI attorney is the right option for your case. Don’t let a daunting disability benefits application keep you away from the money you need to support your livelihood. With a little patience, education, and determination, you could be earning money again before you know it. Instead of asking yourself how to apply for disability, start by taking the first step of talking to your doctor to get yourself on track for benefits. Take a look at our blog for more expert advice on hiring lawyers.